Artist Mary Cassatt and architect Frank Lloyd Wright were rule breakers. Through their revolutionary approach to cultural transformation in the late 19th and early 20th centuries, America’s frontier spirit endured. Art historian Jaime Tsai takes a look at these two extraordinary figures and the role they played in shaping the country’s identity. Educated in Philadelphia, but spending much of her life in Paris, Mary Cassatt defied the expectations of a middle-class woman in the 19th century by never marrying and by joining the most ridiculed group of artists in France: the Impressionists. 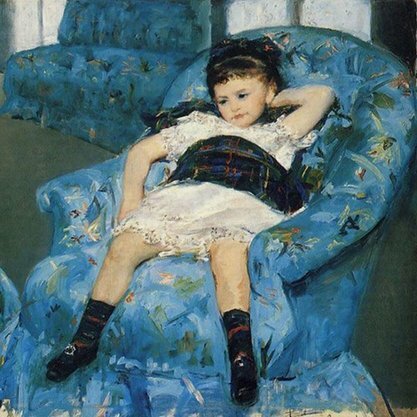 Fiercely independent and prodigiously talented, Cassatt not only held her own amongst the most innovative painters of her time, but also brought Impressionism back to America, where conservative tastes were transformed under her influence. The American frontier spirit is nostalgically inscribed in Frank Lloyd Wright’s bold, horizontal homes. His uniquely American prairie-style architecture echoed the great flatlands of the midwest, and forever revolutionised traditional suburban housing.